This gorgeous living plant museum highlights the irreplaceable value of plants to our earth’s fragile ecosystem. 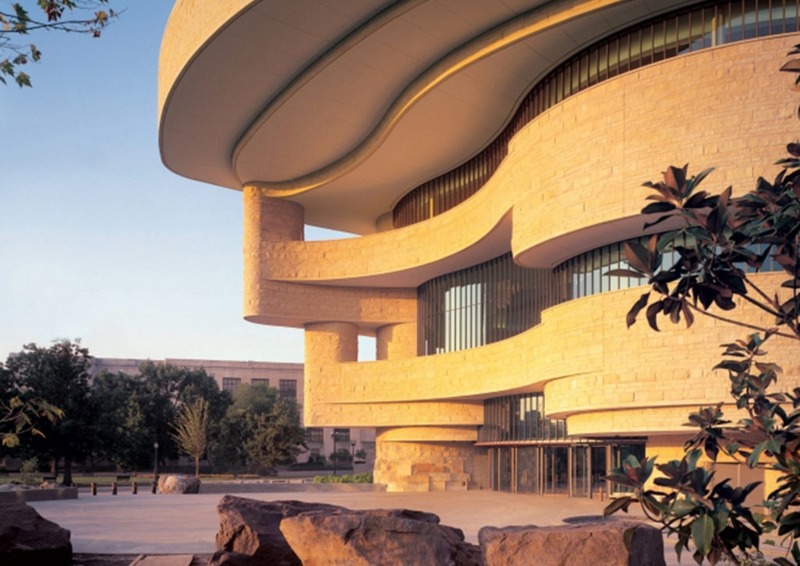 This beautiful museum is one of the world’s most expansive collections of Native American artifacts, including objects, photos, archives and media. 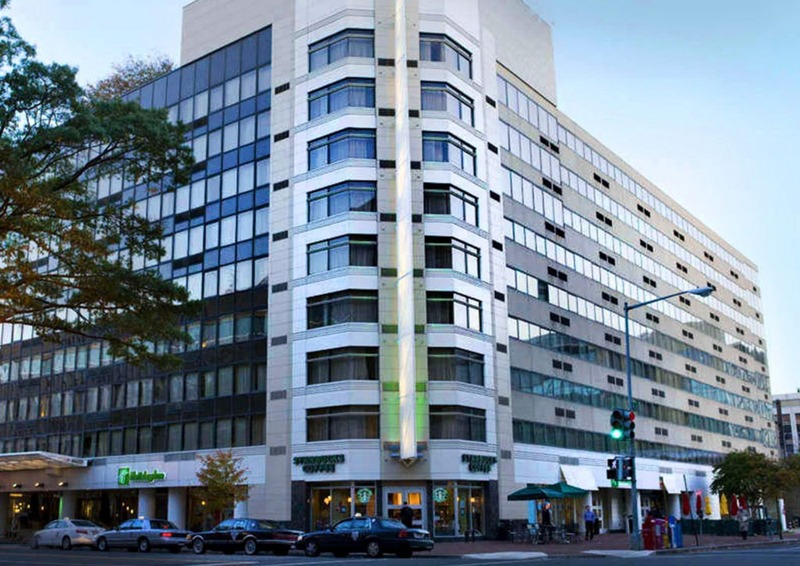 Minutes from the DC’s most popular museums and attractions, a quick trip from the airport and public transportation, and a short walk from the event venues. Lights out, but woodshedding next under the glow of the Capitol, anyone. Plan Your Visit gives you several great maps of the Mall, that identify the museums, monuments and art galleries. You’ll see some recommendations from the Augmented 8 below. This page also has downloadable maps at several resolutions. https://www.si.edu/ Museums gives you information links to the various Smithsonian museums. We’ll be singing in one of them! https://www.visitthecapitol.gov is the visitors’ center at the US Capitol. It’s on the other side of the Capitol building from our Friday night venue at the US Botanical Garden. http://www.supremecourt.gov is just is just across the street from the Capitol’s visitor center. Might be fun to see, and there is a visitor center, but it’s only open Monday – Friday. http://www.supremecourt.gov/visiting/visiting.aspx. https://www.loc.gov/visit/tours/guided-tours/thomas-jefferson-building/ gives you tour information about the Library of Congress. You can visit on weekdays and on Saturday, but only up to about 4:30 pm. Here’s a high level view of the major monuments and museums around the Mall. The Lincoln, FDR and Vietnam Memorials are off to the left and they’re absolutely worth seeing, too. The red circles show how far the National Park Service thinks people would walk in 10 or 20 min from where we’re singing. If time is limited or you want to visit off this map, try metro or taxi. Cocktail hour begins at the Holiday Inn, Capitol Ballroom. Unlimited open bar until 8:30 with beer, wine and soft drinks. Also, live DJ and dancing. Buffet dinner is served in the Capitol Ballroom. Soup, Caesar salad, beef, chicken and fish entrees, strawberry shortcake. “The Works,” from Boston, MA. Early Arrival: Thursday, April 28, 2016 Rate $169 Limited quantity of rooms available for this date. Photography: U.S. Capitol: Destination DC/photo by Michael Kleinberg. 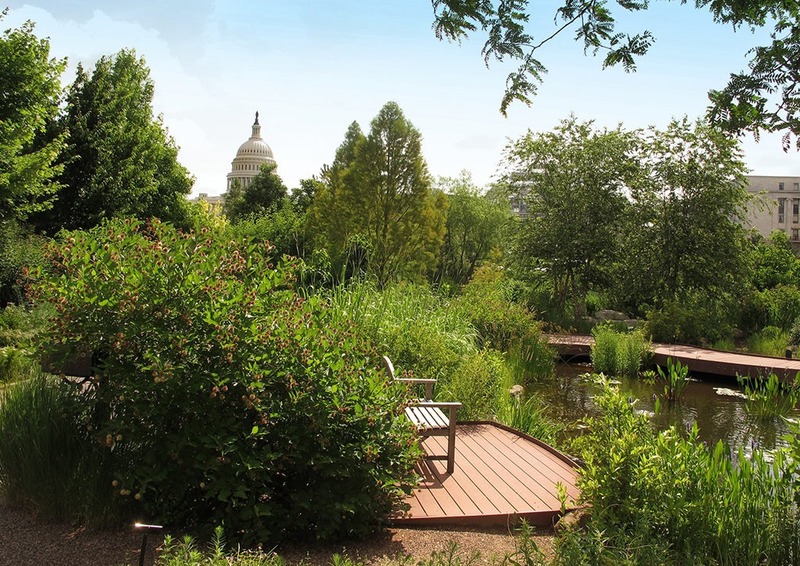 U.S. Botanic Garden: DC Gardens. National Museum of the American Indian: © 2004 Judy Davis/Hoachlander Davis Photography for Smithsonian. Holiday Inn Washington-Capitol Exterior: courtesy of Holiday Inn Washington-Capitol.